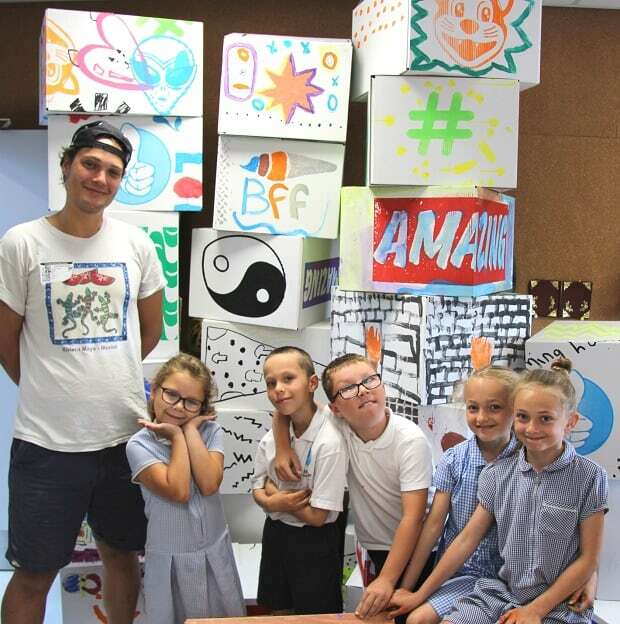 A vibrant project with Thanet pop artist Charlie Evaristo-Boyce ticks all the boxes for children at Ramsgate Arts Primary School. 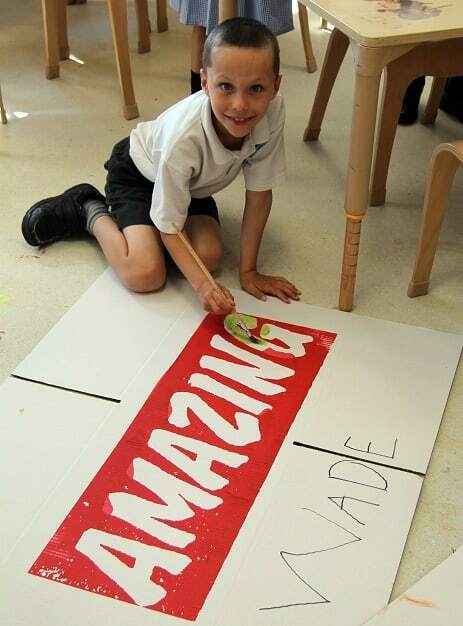 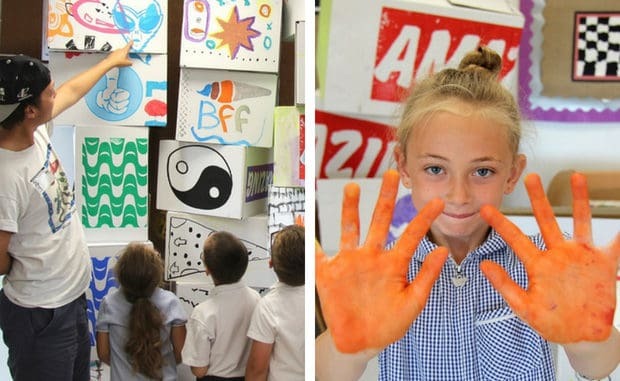 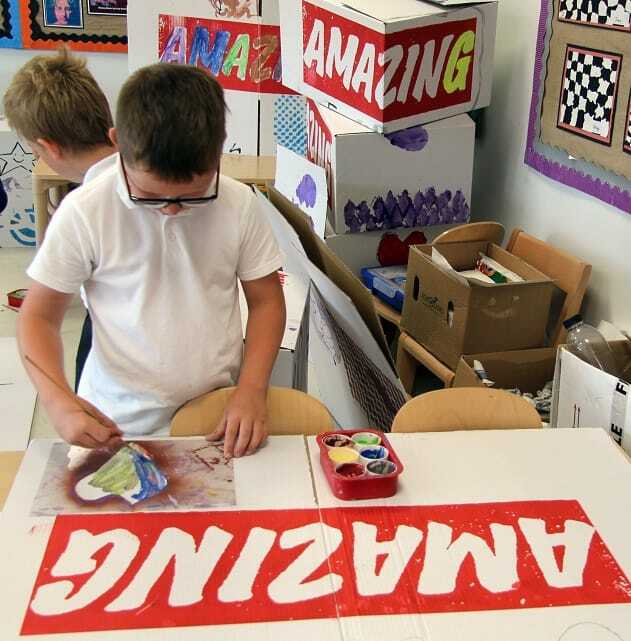 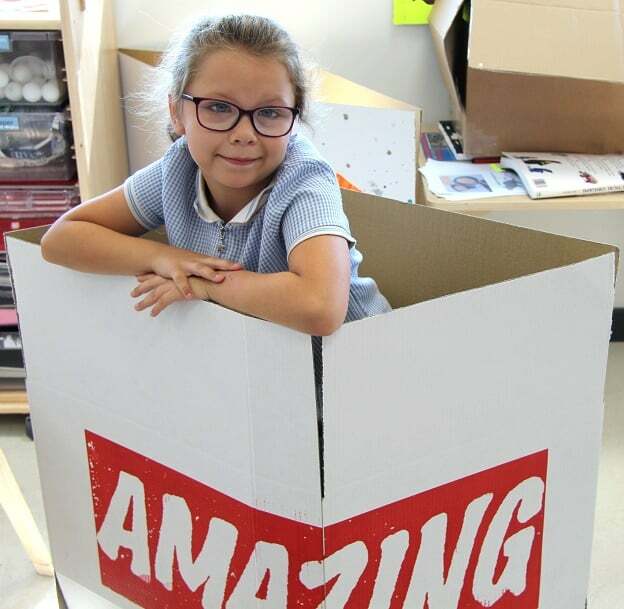 The pupils were asked to paint, draw, and write on the boxes which were eventually combined to create a large ‘amazing’ collaborative work that will be on show at Margate’s Dreamland park this summer. 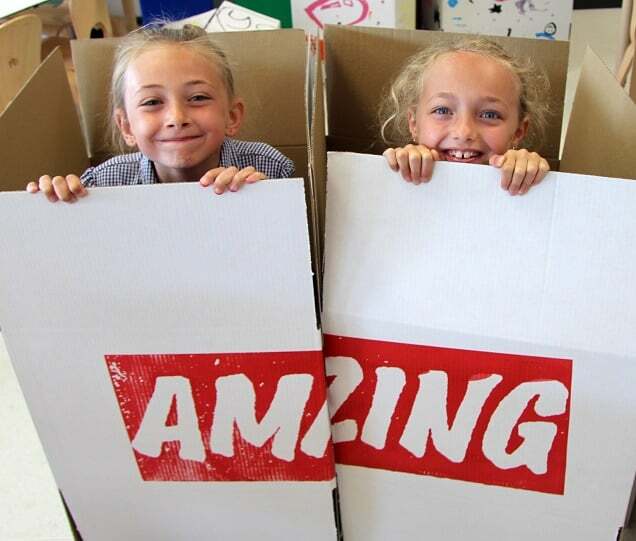 Their collection of boxes sculptured into a giant ‘amazing’ mural will be on show at Dreamland’s Hall By The Sea venue where they can be seen by family, friends and visitors to the park. 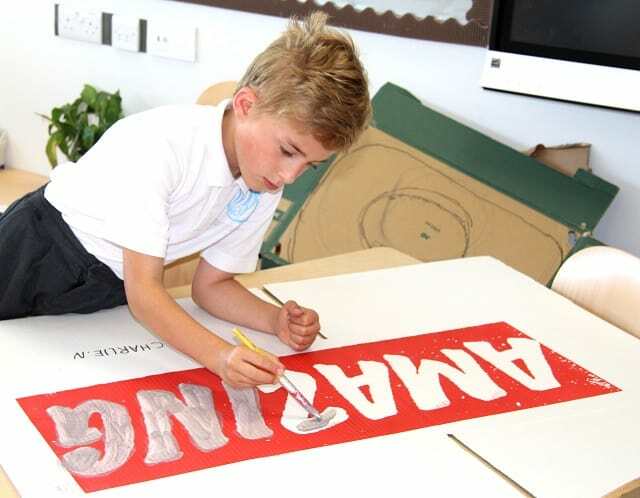 Charlie also used some of the pupils’ work as part of his Mural By The Sea project that is one of the attractions at the park’s Block Party event.